Summary: Built for intensive and non-intensive tasks alike, Netgear Nighthawk AC1750 dual band Wifi router promises improved internet speed than many options on the market. With an AC1750 protocol that gives both bands speeds of 1750Mbps, and the built-in Beamforming technology that boosts connection and signals range, the R6700 is a powerful piece of networking kit that you don’t want to miss in your home. The only thing worse than dead zones in the house is slow Wi-Fi speed, a problem Netgear seems eager to solve. Every new model of their router series brings with it newly improved performance features, from bandwidth boosts to improve wireless range. I recently got the opportunity to test Netgear Nighthawk AC1750 R6700 model, and now, the only thing I regret is not buying it sooner. Packed with high QoS and full VPN, I received a great speed boost in gaming and video streaming compared to my previously 6220 model. 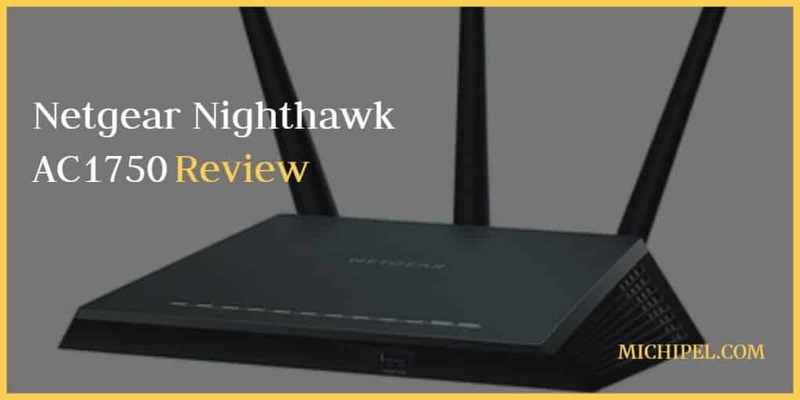 The Nighthawk AC1750 is a Dual Band 802.11ac Gigabit router that promises up to 1750Mbps Wi-Fi speed with a 2.4GHz frequency band and powerful antennas for an extended wireless coverage. The router employs Beamforming technology for an improved connectivity performance and Wi-Fi range. The 1GHz Dual Core processor and Upstream/Downstream QoS make it ideal for handling HD video streaming and online gaming. The Netgear Nighthawk AC1750 is rather modest but solid in its design, which is, perhaps, one of Netgear’s most notorious features. The housing and color profile speak serious tech. And, just like its elder siblings, the wide base and wall-mounting feature make it perfect for every house. There are two storage (USB 3.0 and USB 2.0) and four Ethernet ports. The 3 antennas seem a little longer than the ones its predecessors have, making the AC1750 one of the best performing Nighthawk routers in terms of the signal coverage. The real magic of this smart wireless router lies in the interior. While the 1GHz processor is not a new feature in the Nighthawk series, I was impressed by the prioritized bandwidth and airtime fairness in the AC1750. With this prioritization, I am able to use slower devices without worrying about network lags. The router packs 256MB of RAM and 128MB in flash memory. This, to me, is sufficient for video streaming and gaming support. The ample ventilation holes on the back serve to cool the router when connected in full capacity, making a significant boost in performance. The router also comes with a free Windows and Mac compatible backup software and a free URL to set up your own FTP server. 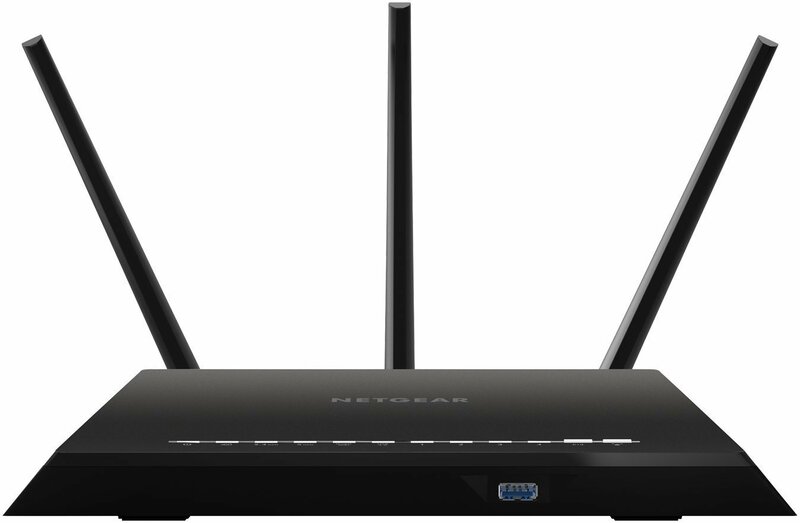 In terms of security, the Nighthawk AC1750 supports full VPN mode for secure remote access. The WPA/WPA2 encryption tech and firewall protection protect the router from denial of service attacks. Setting up the router was easy. The antennas are adjustable and removable. This made it even easier for me to mount the router in my small gaming room. The Wi-Fi and WPS buttons are conveniently placed in the front for easier switching and the 12 LEDs on the front panel actively notify you of the router status. You can also monitor the router via the Genie App, a convenient network management solution that features parental controls, maintenance check, and troubleshooting option. When it comes to getting value for my money, I’m very rigorous. So, as usual, I did some performance tests on my Netgear Nighthawk AC1750 and to be honest, it surpassed my expectations. The router delivers a stable internet speeds without lag and it’s undoubtedly fast for its class. The port performance is also worth mentioning. After a series of tests on the USB 3.0 port, I received an impressive 59.6MB/s on NTFS format and 61.1 MB/s on FAT32, both Read operations. Next, I did a test run on the router’s range. The 6700 model delivered a 525MB/s throughput speed at 25 feet away, which is so far the best connection speed I have ever received. The AC1750 uses the 802.11ac Dual Band Wi-Fi technology to deliver uninterrupted wireless connection to multiple devices at excellent speeds. This seemed like a great bargain between price and seamless connectivity. 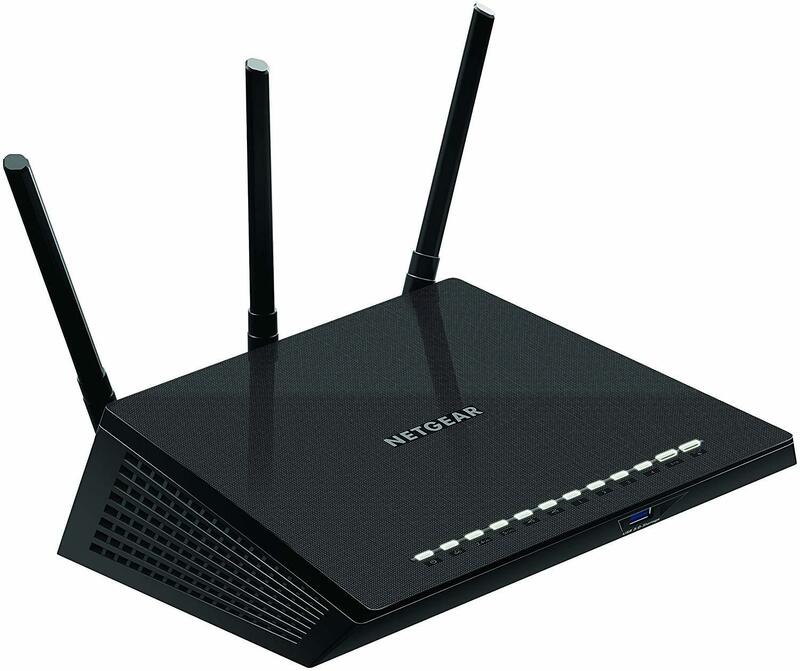 The Netgear Nighthawk AC1750 is made for large homes to deliver maximum internet speed with optimal ease. The extended signal coverage gives you a smooth, lag-free connection with up to 100% signal boost in mobile devices. The novel security features such as full VPN support protects all your connected devices from phishing and other malicious spyware. And the best part: It’s very affordable. 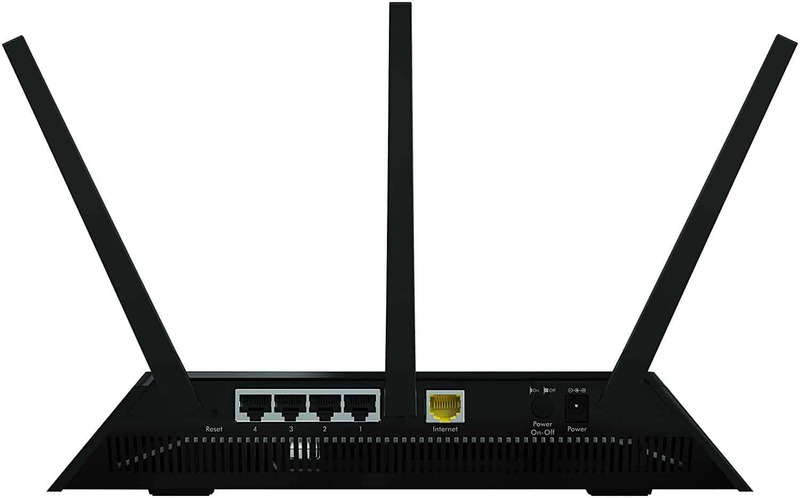 For such contemporary connectivity features, the AC1750 levels competitively with other superior and expensive routers in the market.